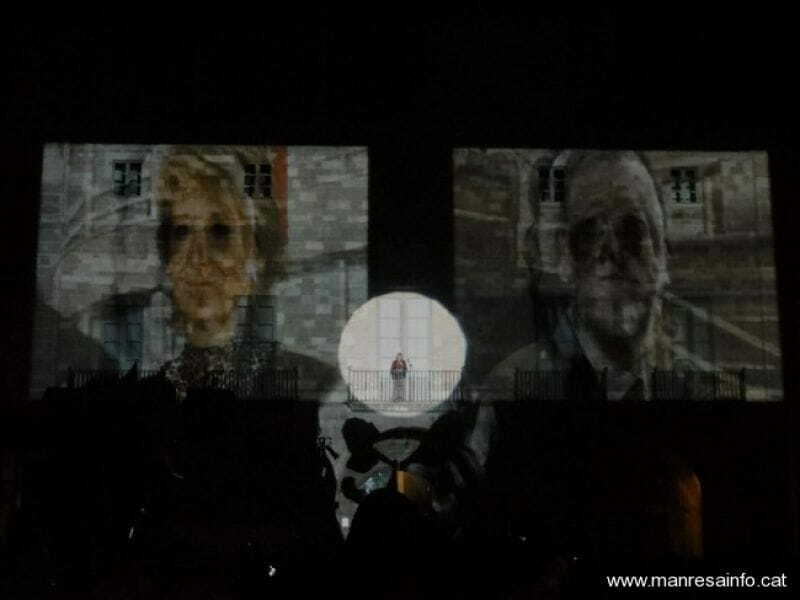 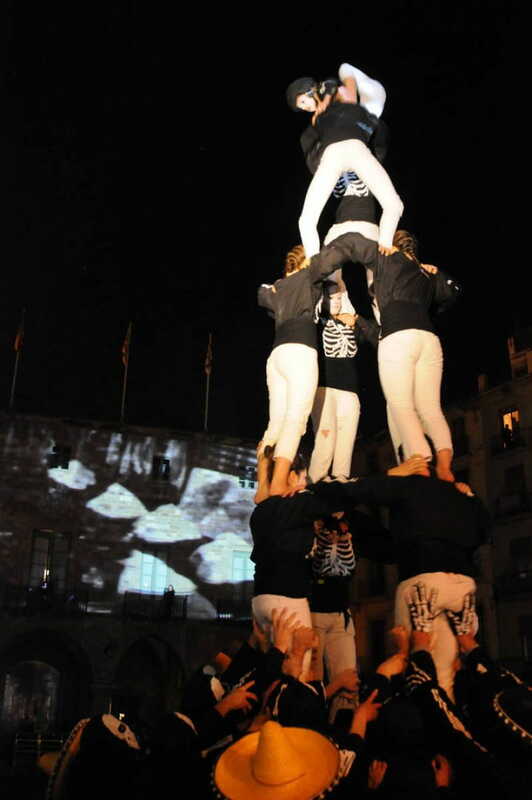 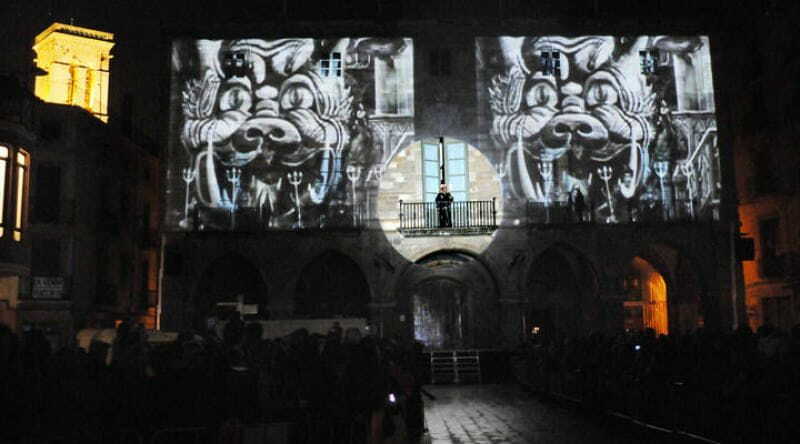 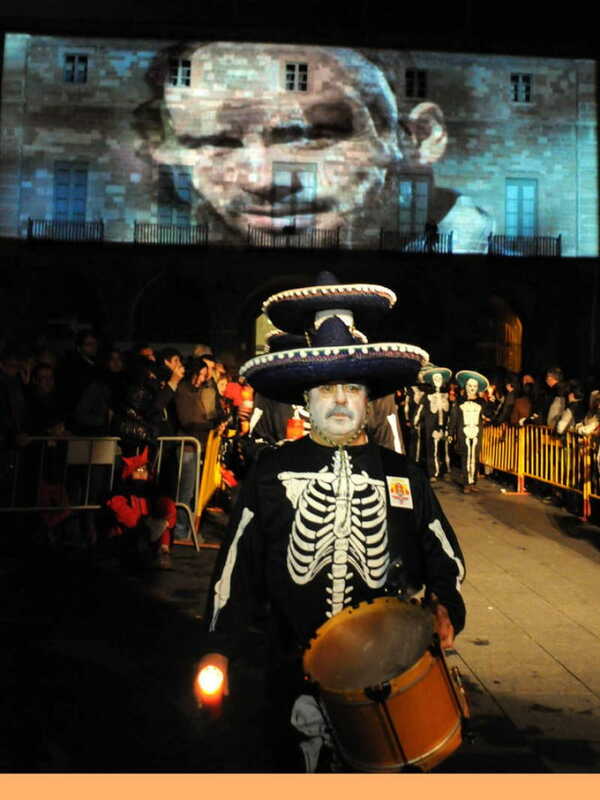 Multimedia show with projections, theater, poetry, music and mariachi-skeleton "castellers / human towers" for the closing ceremony of la Fira de la Mediterrània de Manresa. 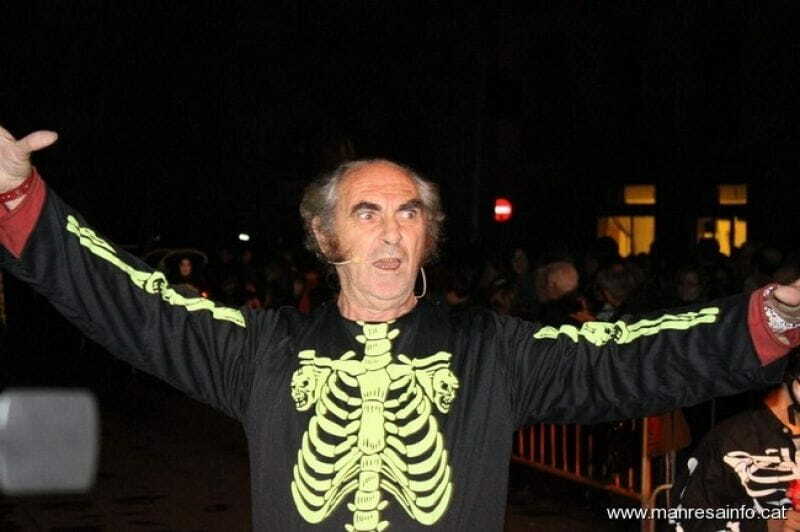 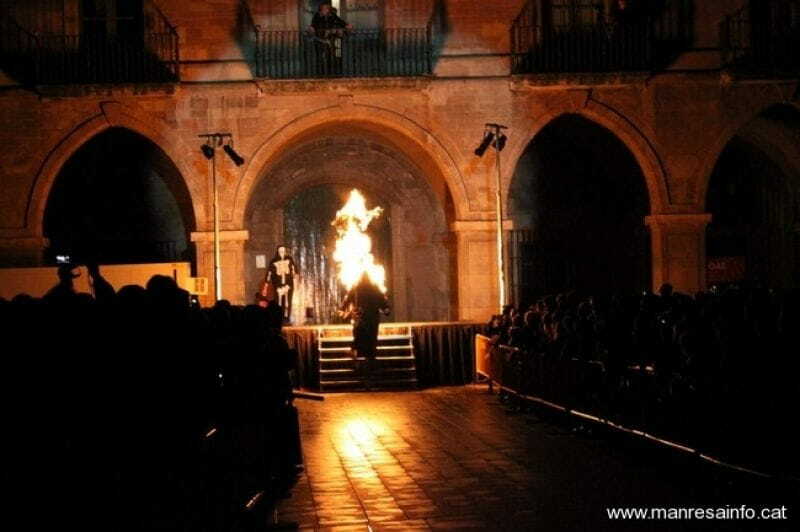 A show that "grafts traditions with allegories and sense of humor, recreating the legend of the Misterious Light from Manresa , the medieval Dance of Death from Verges as dreamed by Malcolm Lowry under the influence of the Olot volcanoes. 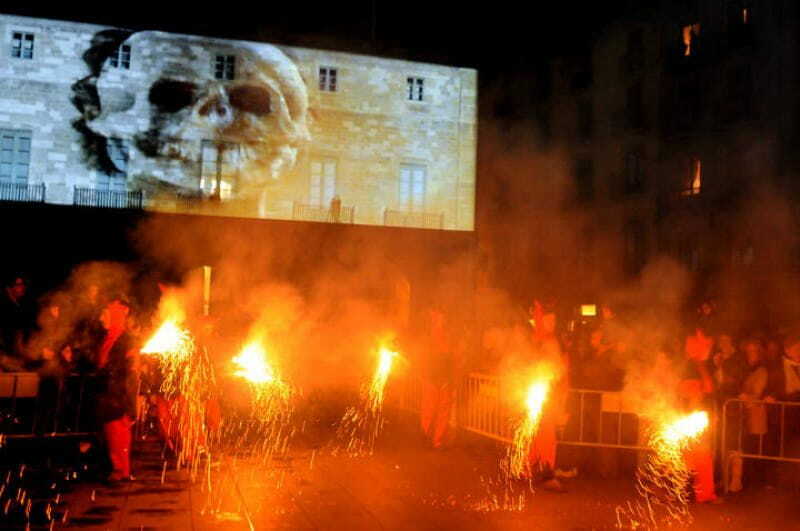 With the poets Enric Casasses and Pau Riba as masters of ceremonies, skeleton human towers, "correfoc" devils and projections over smoke. 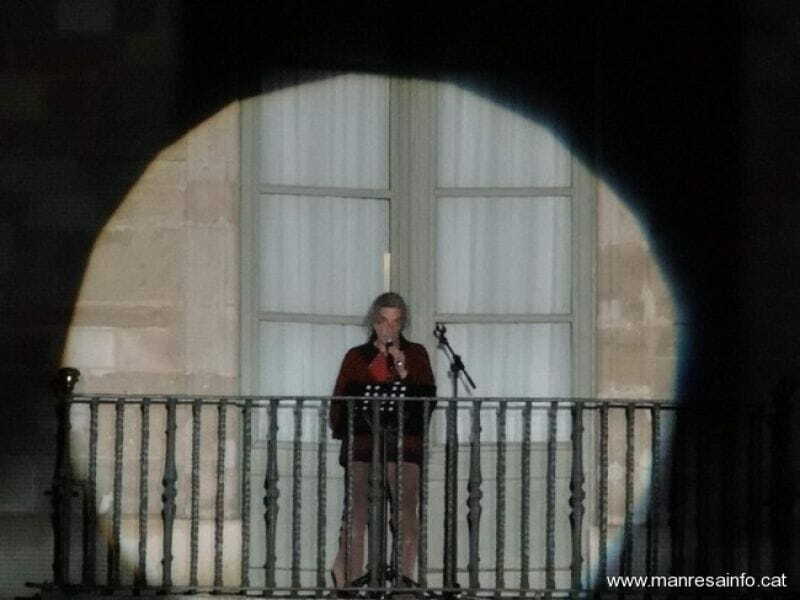 Script and direction Isaki Lacuesta. 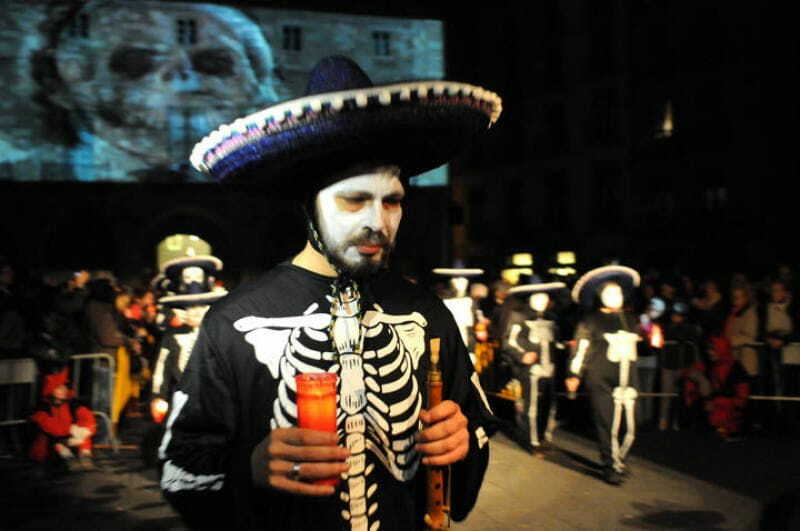 With Pau Riba & Enric Casasses.